Is your love life in the doldrums? Do you crave the warmth of a lover’s touch, the sharing of fun and laughter with a trusted partner, the feeling of safety and support that only a loving relationship can provide? If you’re looking for love, Feng Shui has ways to help you find what you’re searching for. 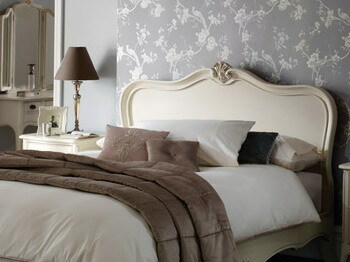 Start by thinking about the place in your home where you spend the most time – your bedroom. This room, where you spend fully one-third of your life, has an outsize influence on your health, your emotional well-being, and especially your loving relationships. The more time you spend in a place, the more important it is to make sure it supports and nourishes you to the maximum extent possible. In fact, Feng Shui regards your bedroom as the most important room in your home and has developed specific ways to arrange it to help you attract love into your life. As a Feng Shui consultant I’ve helped countless clients cultivate and nurture healthy and happy love lives. Here are my top tips to help you start turning your love life in the right direction, right now. 1. Empower your intention by considering the Primary Purpose of your bedroom. Think about it: what do you want most in this room? If the answer is “Love!” then take a look around and start sending that message to yourself and the universe by creating a sanctuary where you can create a beautiful love life. Everything in your bedroom should be related to its primary purpose of love: get rid of work materials, exercise equipment, kids’ toys, the TV set, books and other distractions. 2. Make room for love by clearing clutter. This is # 1 for good Feng Shui in any room but it’s particularly important in the bedroom, where distractions should be at a minimum. 3. Create a bit of extra room in your closets and dresser drawers. You’re much more likely to attract love when there’s literally space in your life, so make room for two! If you live in New York City like I do, spaces are small and it can be challenging to make space in your closets. Either get rid of some belongings, or call a remodelling contractor to see if you can add storage space. 4. Make sure your bedroom contains only happy personal memories. Check particularly under the bed, an area that may be out of sight but is never out of mind. Think carefully about the nature of the things you sleep on top of every night. Do you really want the energy of dirty shoes, old photographs or tax records underneath you during the most intimate moments of your life? 5. Use imagery of pairs as decor in your room – two nightstands and lamps on either side of the bed, artwork of two beings in relationship with one another, a pair of candles on the bureau to create a romantic atmosphere. Double-check to make sure that every image you use is positive and uplifting. 6. Furnish your serene new sanctuary with alluring colors and sensual textures. Stir the passions with colors that are warm – but not hot – and textures that invite a loving touch. Is your lighting harsh? It’s worth it to hire an electrician to install some ambient lighting. 7. Love yourself. This is the best way to put yourself in a position to attract a life partner who loves you for the person you truly are. Participate in activities that arouse your passion and enthusiasm, connect with your favorite people, prepare the foods you love. After participating fully in life every day, you’ll use your bedroom for the purpose it’s meant for every night: refreshment, rest and re-connection with yourself or your love partner. If love is on your mind, focus on your bedroom. Find your path to happiness and nourish the intimacy you desire by creating a room that matches your dreams.